Okay, admittedly, I bought this on a whim because the bottle is so darn cool. Check it out. See. Look. *points to picture* Cool bottle, right? Right. Is it as cool inside? Eh. Depends on your tolerance for sweet rums. If you like citrus and you love syrupy sweet rums, say the coconut flavor, you’d probably enjoy this one. But, if you like your rums naked or spicy – for instance Captain Morgan’s luscious Black Spiced Rum *drools* or the lovely Kraken rum – this might be too sweet. Honestly, at first I thought they’d filled the bottle with Orange Pledge furniture polish and a gallon of syrup. Yup. True. I girded my loins the next night and tried another glass, because it was here and so was I…Yeah. Well. It grew on me enough that I no longer thought of it as ultra sweet Orange Pledge. But that’s as far as it went. It was still too sweet for my tastes, even on the rocks. 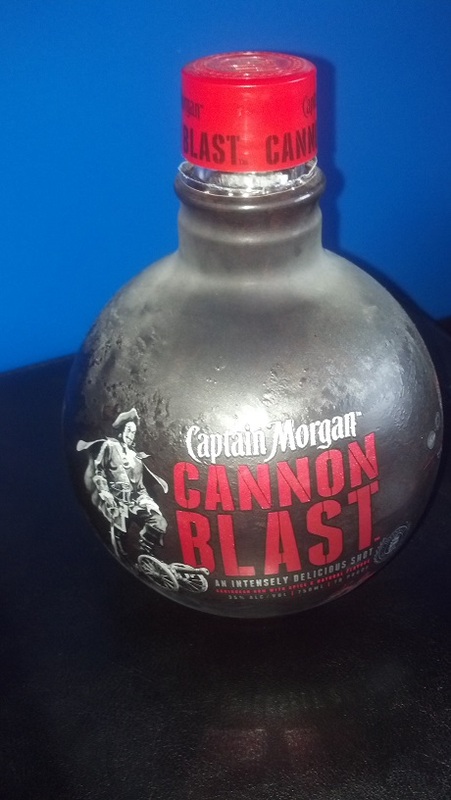 So, this spicy little bat will stick to Captain Morgan’s Black and Kraken…thank you. But for the sweet drink lovers out there, if you like orange flavored liquors – give it a whirl. I’ve been wondering about this one! Might be good in a Mai tai?